We are extremely proud of our dedicated team. We hire only the best and most experienced employees to become a part of our team here at Vashon 4 Paws Veterinary Clinic. Our team is filled with highly dedicated animal lovers who are well trained at their jobs. They will do anything possible for their patients and the owners who love them. Learning and education are very important here at Vashon 4 Paws Veterinary Clinic. We strive to have a state of the art hospital with a staff trained in the latest medical advances. Our patients deserve the very best veterinary care. If you would like to speak to someone on our team, don’t hesitate to contact us today at (206) 567-7782. Dr. Teri’s love affair with Vashon Island began in 1999 when she visited for the first time. She searched the island with her trusty realtor, Connie Sorensen, who found her the perfect house, perched high on a bluff on Maury island with a view of Mt. Rainier and the Puget Sound where the Orcas used to make an almost weekly appearance. This was back in the day when these homes sold for 200K! 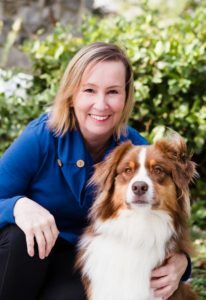 Teri started a house call practice, Island Veterinary Services on Vashon and that practice remains to this day, one of the happiest times of her life. She practiced traditional and alternative medicine incorporating Reiki and animal communication into the practice. Being invited into people’s homes where their pets are most comfortable was an honor and a pleasure every day. Recently, Teri returned to the island, where she knew that the new concept of a fear free practice would be embraced, to begin Vashon 4 Paws Veterinary Clinic. After several months of hard work obtaining financing and finding a perfect spot for the clinic, she has settled into her new space with an awesome team, awesome patients and awesome clients. Vashon 4 Paws Veterinary Clinic strives to offer a comfortable place for dogs and cats and their companion people to be. We use species friendly pheromones as diffusers and sprays throughout the clinic, offer completely natural anti-anxiety treats to patients and most of all, offer the time and space for them to become comfortable with the veterinary clinic. The clinic is designed to reduce stressful visits, with separate entrances for cats and dogs, rooms that are not boxes, no steel exam table surfaces, kitty tents with towels and blankets in the cat hospital and soft beds and toys in the dog hospital. Cats are handled in their carriers or with soft towels and dogs are allowed to stay on the ground or in their owner’s laps for most exams. We are all just so happy to be here and be apart of this wonderful community! Jami has a natural Zen like approach to life, which makes her the perfect veterinary practice manager. She promotes a client/patient centered environment and facilitates programs and processes that meet our clients’ needs. She is certified in fear free veterinary approaches and practices and utilizes it to provide a calming and loving influence on our patients every day. As the perfect team manager, she listens patiently, she sees all sides of each situation and is full of encouragement and inspiration. Jami came to us after working as a veterinary assistant for Columbia City Veterinary Hospital in Seattle. 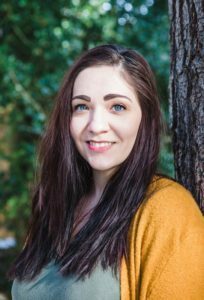 Her dedication and commitment to helping animals and people alike resulted in her promotion to Practice Manager at Vashon 4 Paws Veterinary Clinic within her first 2 months at the clinic. She continues to work as a veterinary assistant and customer service specialist as well as taking on the huge responsibility of managing the practice. She conducts interviews for employees, manages Payroll, marketing, sets financial goals and studies daily and monthly financial projections and results, resolves staff issues and makes sure that our hospital is maintained at the highest cleanliness standards and is welcoming to our clients and patients. In her spare time, she enjoys family time with her wonderful husband, beloved 3 children (including twins!) and 6-year-old Aussie companion, Roper (who comes to work and entertains Honu at times). She loves chilly fall days, going to the Ballet, hiking, Mariners games and anything involving music- she has a degree in Music. She would never turn down good pumpkin pie or tofu teriyaki from Kinza restaurant. We feel blessed every day we see her smiling face at work. Paul showed up at Vashon 4 Paws Veterinary Clinic when we needed him the most and found so many projects to help us with, he never left! He is a most special kind of combination of super hard worker and best friend to all of us. He is our glue, our rock, our mentor and most of all, our helper. He started out working with his son at a frenzied pace- installing all of our cabinetry, building and assembling our kennels, our equipment, our washer and dryer and just about everything else. He has an intuitive sense for creating beautiful spaces in our clinic. He works quietly and cooperatively with all of us and has a calming effect on the entire clinic. He has a heartfelt love of animals and delights in meeting each one of them. He has eagerly welcomed learning to become a very competent veterinary assistant and seems to add good ideas to well worn principles every day. He embraces the fear free approach that we use in the clinic and is always kind to our patients. He is the guy who carries the carriers or stretchers out to peoples cars, always holds the door open for everyone, cleans and prepares the exam rooms, the cat and dog hospitalization areas and shines up the clinic every day. When we can’t find him, we know he has snuck away to pet one of the cats or dogs or is keeping them company when they wake up from anesthesia. Robyn is our licensed veterinary technician and she is our hero because she has SO much experience. Robyn’s last job was for an Emergency Specialist hospital and she brings the best of both emergency and specialty medicine to our clinic. She also worked in a fast-paced corporate practice and 2 other veterinary clinics for several years. She brings a steady, calm demeanor to her work with our clients and patients. She is extremely detail oriented and methodical and confident- whether it’s calculating out dosages for anesthetic procedures or taking radiographs of an animal in emergent distress, Robyn is cool as a cucumber and always produces excellent results. Robyn is in charge of surgery, radiographs, inventory and blood work here at 4 Paws Veterinary Clinic and we always know we can trust her work. She is happy to step into our smaller, more rural community of animal lovers and works hard every day to make everyone happy. She has compassion for people and pets, wonderful technical skills and a positive outlook on veterinary medicine. She is enthusiastic about dentistry and is does a wonderful job. Best of all, Robyn has a sense of humor. Robyn works way too many hours a week taking care of us, her wonderful son Naz, her parents and her kitties.